Your aura is an energy field radiating from your head and body. Your aura can be thought of as containing a projection of your physical self but in a non-physical form. The aura can also contain any part of the non-physical you; your emotions, thoughts, and spirit. Some people who have a heightened awareness can see the aura, even though it is not visible to the naked eye. You can test your perceptiveness of auras by trying an exercise to ‘see’ your own aura or that of another person. To try seeing someone’s aura for the first time, gaze at the person for about a minute, then close your eyes. See the clear outline of the person inside your eyelids, as if they had a bright light behind them. That outline is their aura. You can do this for yourself by either looking at yourself in a mirror or gazing at your own hand. You may see the outline as a color or it may appear to vibrate or pulse. 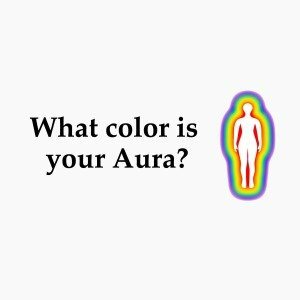 When you work with extrasensory perception (ESP), it is easy to distrust what your sixth sense is ‘seeing.’ For example when you try this exercise, you might say that you thought someone’s aura was yellow, but that was only because they were wearing a yellow shirt. Second guessing yourself is the enemy of ESP. You already don’t trust what you are seeing with your mind’s eye because it isn’t really there in the physical world. Usually your first impression is correct. Trust your gut instinct because that is the key to perceiving beyond the physical realm. There are special cameras that capture the energy aura of the body. With these cameras that can see the energy that is not visible to the naked eye, researchers can test how auras respond to treatment. A study at the City University London used energy field visualization cameras and measured energy fields for subjects before and after a stress-reduction therapy. Measured energy fields were strengthened when the subjects went through a stress therapy technique such as meditation or yoga. When you are depressed, your psychic energy is also depressed. Negative emotions like fear and anxiety create blockages to our physical energy as well as our emotional energy and aura. When you can clear your aura of negativity, you have freedom from what is holding you back. 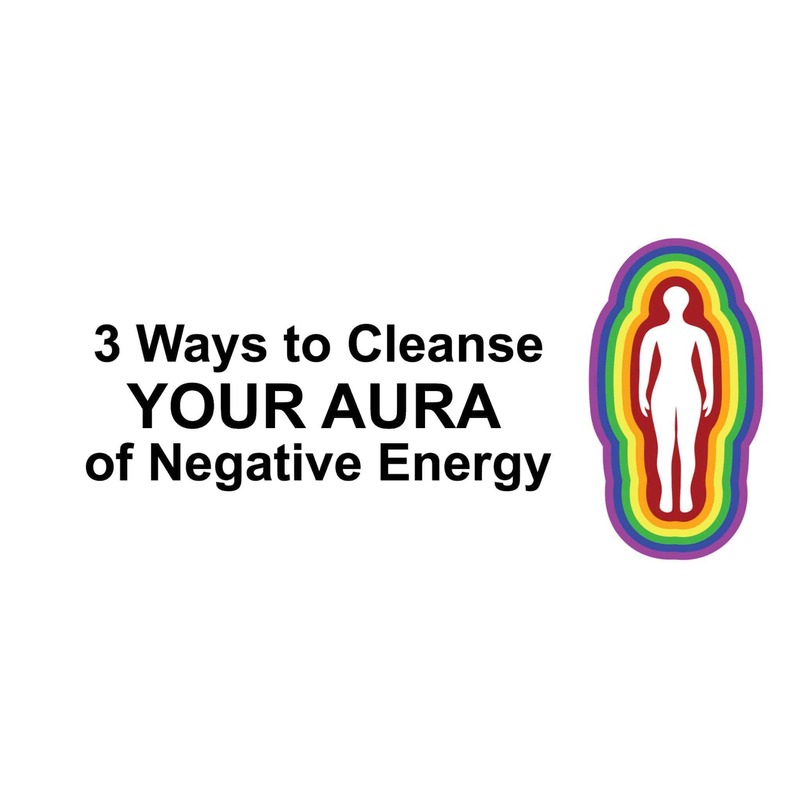 Let’s examine 3 ways to clear your aura of negative energy. * Sunlight: Go outside and get some healthy sun exposure to revitalize your energy. * Swimming, especially in salt water: If you have access to the ocean or a saltwater pool, a quick dip can help. The salt is physically and emotionally cleansing for removing minor psychic debris. * Bathing with Epsom salts: A bath with Epsom salts is an at-home way to stimulate the flow of your energy. * Meditation: Sitting quietly at peace can help to release negative energy and emotions. Just like your mental well-being, the vital energy of your aura can become damaged due to traumas experienced in life. To heal your aura, you may need the help of a professional to work through the negative feelings that you have, release them, and find peace. If you’d like the help of a professional, you can seek out a licensed counselor or you may find a clairvoyant who can help identify a blockage to the energy of your aura. * Forgiveness: Not only letting go of the pain in your past but forgiving the person who caused it can clear the negative energy from your aura. * Visualization: Imagine a white light filling your body and extending out through your skin. As it fills the space in and around you, the white light pushes any dark or cloudy parts out of your aura. Once you have cleaned and healed your aura, you need to protect it from future damage. Since we are talking about psychological pain, you need to protect yourself from being hurt by others’ emotional energy. Being empathetic to others means that you understand how they are feeling. Sometimes we feel their pain right along with them. Being empathetic is a kind gesture, but you should never do so at the expense of your own mental health. * Awareness: Recognize when the emotions that you feel belong to someone else. If your spouse is angry, identify that emotion and acknowledge it, but remind yourself that it is their anger, not yours. * Self-love: Protect yourself from psychological attacks by loving yourself more than the attacker. You do not deserve abuse. * Visualize a shield: Visualize your glowing white aura expanding to surround your body in a protective zone that cannot be invaded by others. See the aura as a white bubble that can flex, but never burst.